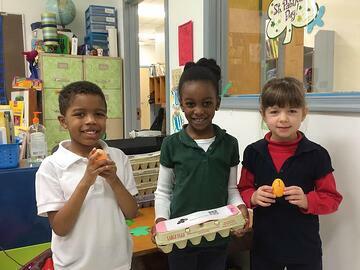 Each year in preparation for Easter, K5 students at Liberty Christian School have the unique opportunity to experience the story of the death and resurrection of Jesus Christ in a creative way by making their very own sets of Resurrection Eggs. What exactly are Resurrections Eggs? 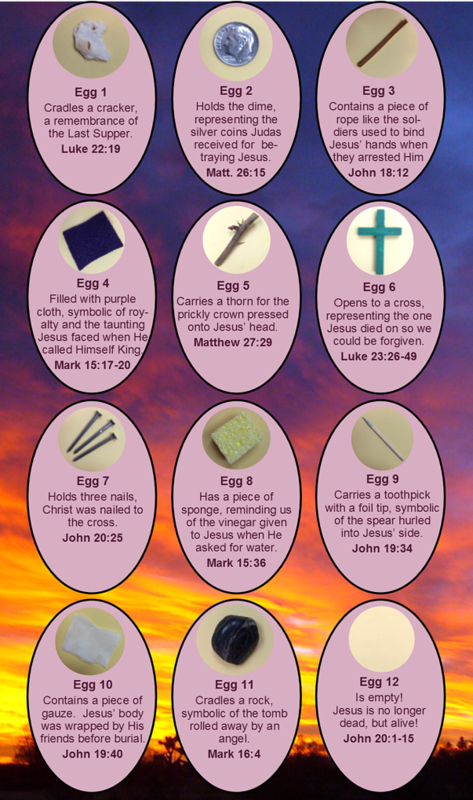 They are a set of 12 plastic eggs, each filled with a symbol of Jesus’ journey to the cross. The basis for this experience is the book Benjamin’s Box: The Story of the Resurrection Eggs by Melody Carlson, which is read to students during Bible class throughout the weeks leading up to Easter. As they progress through the story, students learn of the meaning of the symbols held within each egg and then have the chance to fill eggs of their very own with the items they have learned about. This special activity not only gives K5 students a hands-on way to learn the story, it also provides them with a visual reminder of the story as well as a simple yet powerful way to share it with family and friends.